Photos date from 2010 to 2011. For comparison, Detroit's infamous abandoned Packard Plant only measures about 0.7 miles long. 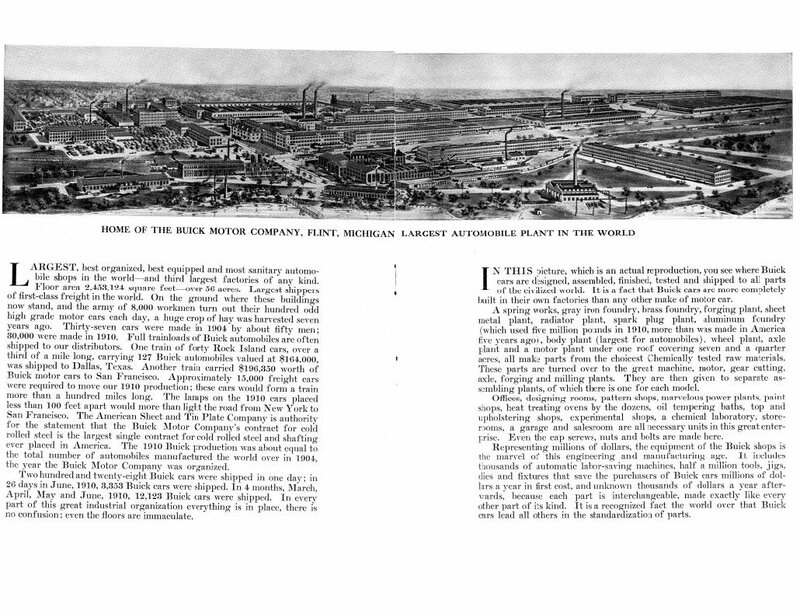 It is difficult to overstate the magnitude of the famous "Buick City" plant, either in terms of its physical size or of its importance to General Motors, and to those Flintstones who worked there. 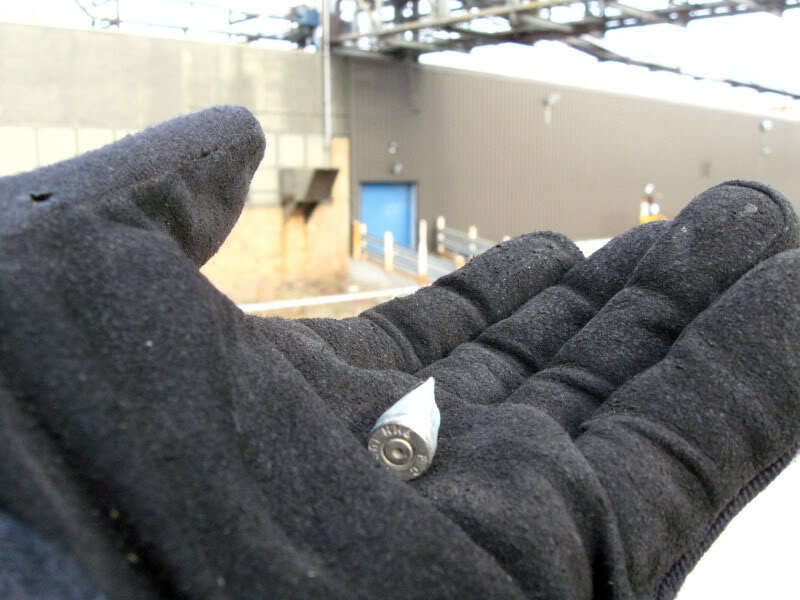 It was the heart of both Flint, and of General Motors. GM was founded in Flint starting with the Buick Motor Co., and upon this bedrock Billy Durant did build his church, much as the Lord spake unto Peter...and Buick City became their flagship factory. Flint and Buick are synonymous; inseparable. 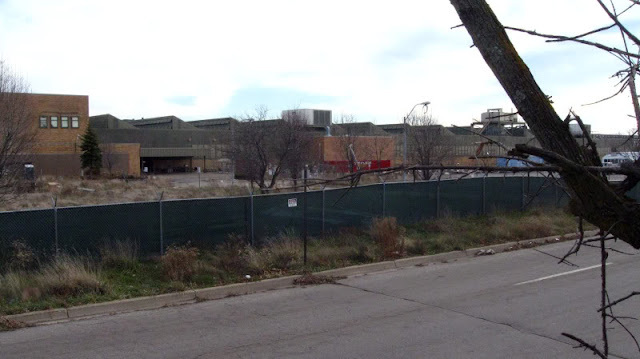 It was the great citadel of America's (and the world's) largest industrial corporation, perhaps second only in size to Ford's legendary Dearborn Rouge Plant. 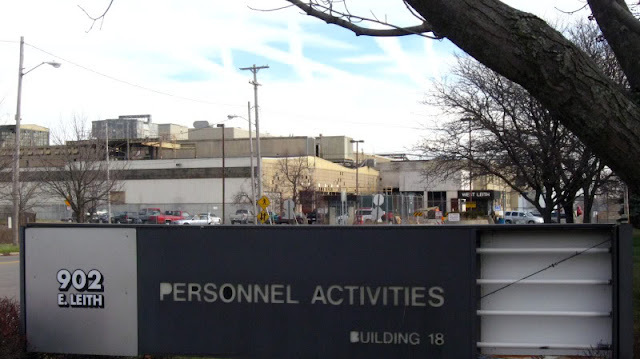 There's even a Facebook group dedicated to telling and sharing the stories of anyone who worked at Buick City, or was family of someone who worked there. One could not ask for a more complete or in-depth study of the Buick City plant than Gerry Godin's buickcity.blogspot.com, which has been posting photos and articles online of the historic factory and its products since 2007. Mr. Godin himself is a retired employee of the plant, where he worked for many years before he began compiling historical information on it. Vehicles and parts were manufactured on this spot even as far back as the 1890s. 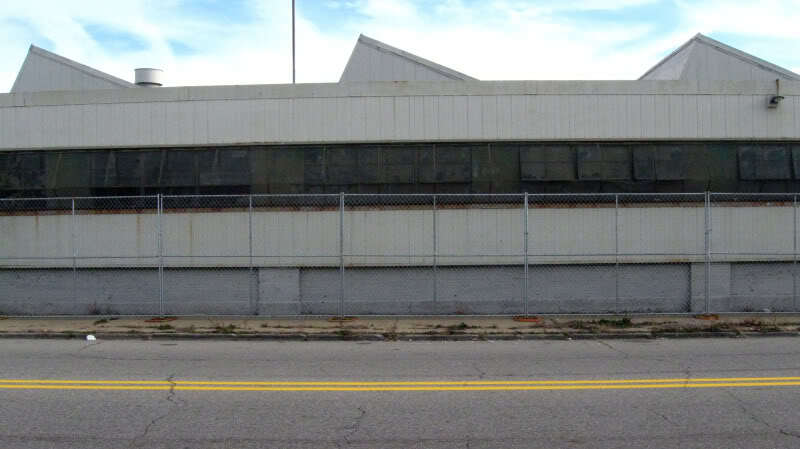 It wasn't until 1903 however that Buick Motor Co. relocated to this site from their original plant in Detroit. During World War I, Buick produced "Liberty" aircraft engines here, and of course also did their part to form the Arsenal of Democracy during World War II. 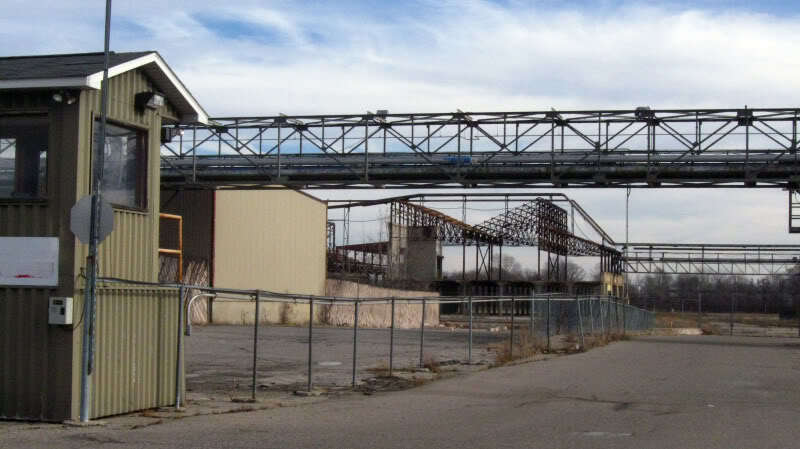 The contamination entry on the EPA's website for Buick City actually waxes a shade nostalgic, and sort of eulogizes this legendary site by telling of its importance to American automotive history. As a connoisseur of fine Buick cars, I myself attach quite a bit of nostalgia to this old toxic sh#$%-hole, since many of the most beautiful classic cars ever built were riveted together right here. Do an image search for "1957 Buick Special," "1959 Buick Electra," "1965 Buick Riviera," "1967 Buick Wildcat," "1971 Riviera," or "1949 Roadmaster" to name a few, and you'll see what I mean. 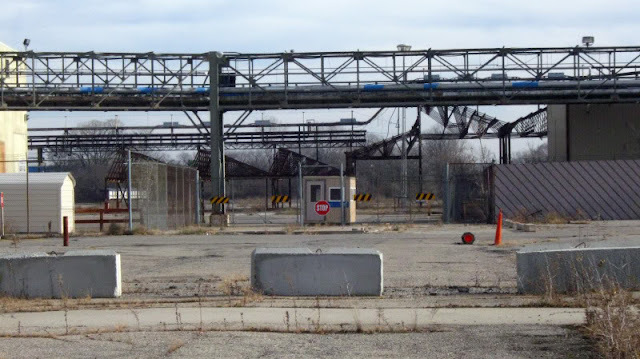 Sadly, I never did get inside the Buick City plant to explore it, though I came very close to being able to attend the auction when the equipment and furnishings were sold off. 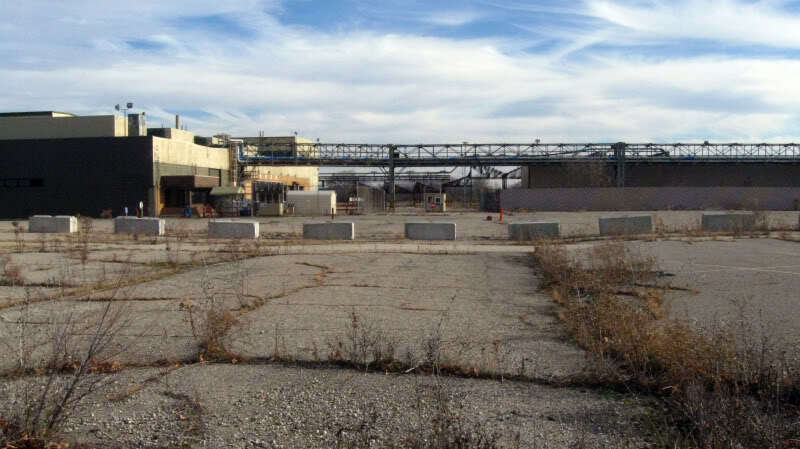 The EPA also says that the Buick City site is undergoing a "long-term cleanup." Its soil and groundwater are contaminated with various petroleum products, PCBs, metals, Volatile Organic Compounds (VOCs), Semi-Volatile Organic Compounds (SVOCs), and even a "free-floating petroleum product" called light non-aqueous phase liquid (LNAPL), "which is particularly difficult to remove." Gee, I wonder how the Flint River got so polluted? I know GM stopped using the municipal water pumped from the Flint River well before the big contamination scandals started, because they discovered it was corroding some of their machinery that utilized water. Kind of ironic, since GM were probably the main polluters of the Flint River. This plant wasn't always called Buick City however, that title only came into use as of the early 1980s when GM had big plans to unify all of the various factories on the site under one banner in order to form one massive complex. The name was chosen so as to be GM's answer to their main rival Toyota, whose "Toyota City" in Japan stood as a challenge to Detroit's and Flint's prowess as the vehicle capitol of planet Earth. 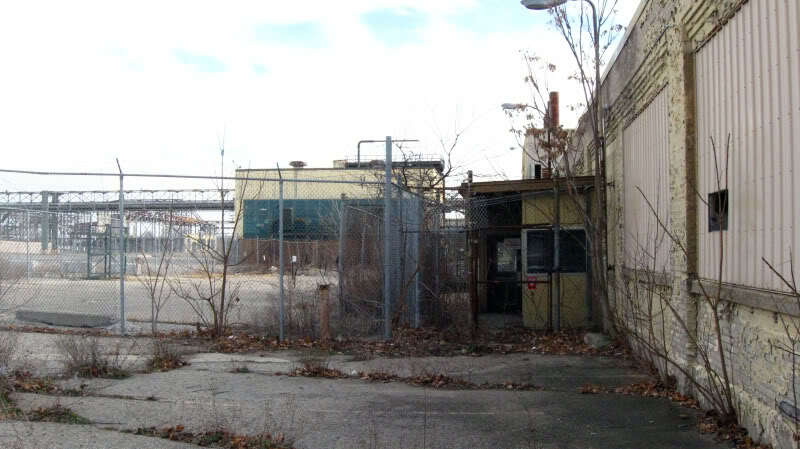 By naming their flagship plant "Buick City," GM was registering their intent to do battle against foreign competition. 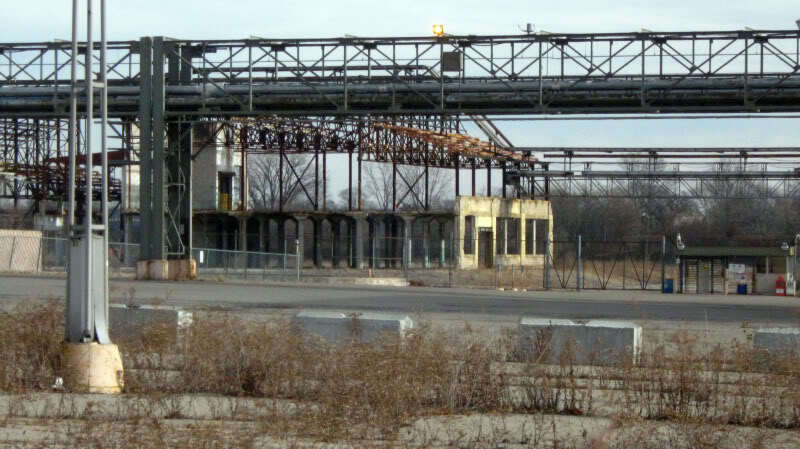 According to the recent book Demolition Means Progress: Flint, Michigan, and the Fate of the American Metropolis by Andrew R. Highsmith, the massive Interstate highway I-475 was in fact built expressly to service the new Buick City plant idea in 1986, in a bid to attract automotive supplier companies to the St. John Industrial Park area so as to create a more fully-integrated industrial complex, like that of the Ford Rouge Plant, where raw materials go in one end, and a finished car comes out the other. An article from 2014 on mlive.com says that the last Buick ever built in Flint was a LeSabre that rolled off the line at 12:37pm on June 29, 1999. The engine plant portion of Buick City (Powertrain Flint North) kept producing motors until 2010 however, when GM finally abandoned the site completely in the face of their big bankruptcy, concluding well over 100 years of continuous manufacturing here. 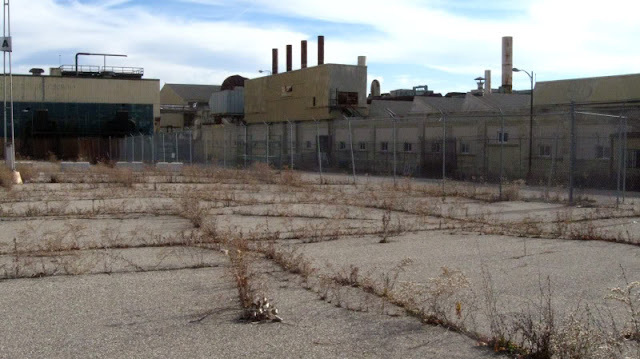 The Revitalizing Auto Communities Environmental Response (RACER) Trust (which was established as part of the bankruptcy proceedings) has been in charge of the site ever since, and supposedly continues to work on reusing this scarred land. 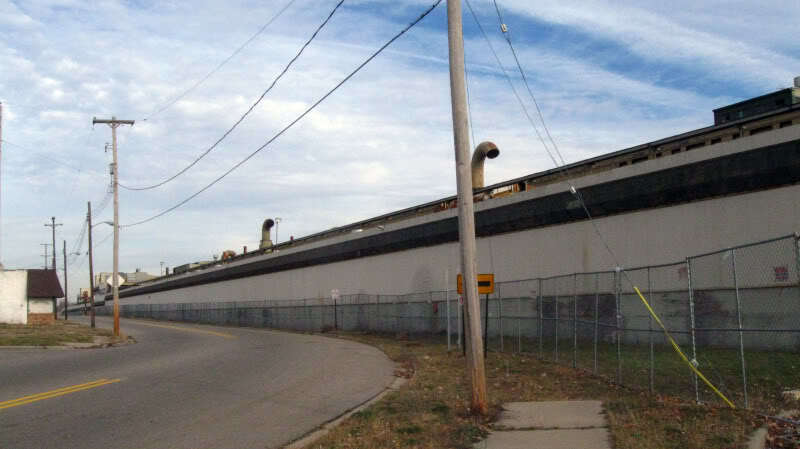 The American Spiral Weld Pipe Co. of Alabama built a small new factory at the northernmost end of the site, with plans to manufacture most of the Karegnondi Water Authority water pipeline by December 2014. Apparently American Spiral Weld also received a 50% tax break to locate here, while providing up to 60 temporary jobs while the pipeline is being built. I wonder if they would like fries with that? As the Flint water crisis developed, some have also speculated that the Karegnondi Water Authority and pipeline were a scheme all along to bring hydraulic fracking to Michigan. Anyway, if Flintonians felt the pains of deindustrialization during the Roger & Me days, the fall of Buick City visited even more woe upon the city than before. 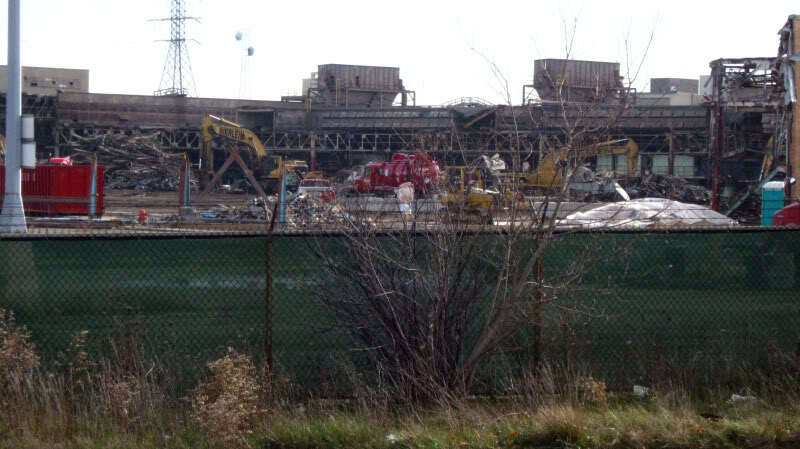 The World Socialist Web Site offered some depressing statistics on job loss in Flint. 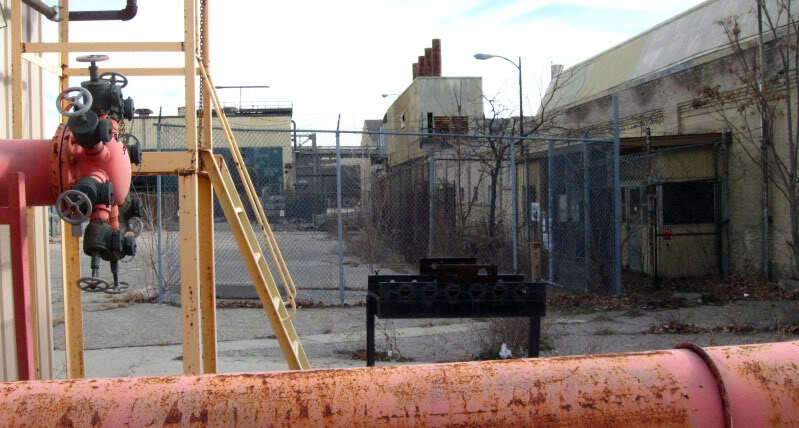 When it closed down it was the last operating assembly plant in the city, and only had 1,200 workers left within its cavernous halls anyway—which is a far cry from the 28,000 who used to toil here during its peak production years of the mid-1980s. 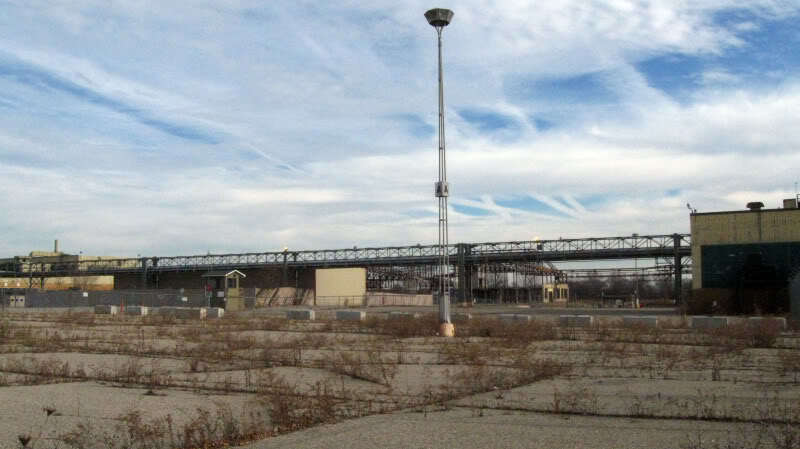 GM employment in the entire Flint area hit 77,000 jobs in 1978, but was expected to plummet to 22,000 as Buick City was phased out—both figuratively and literally. 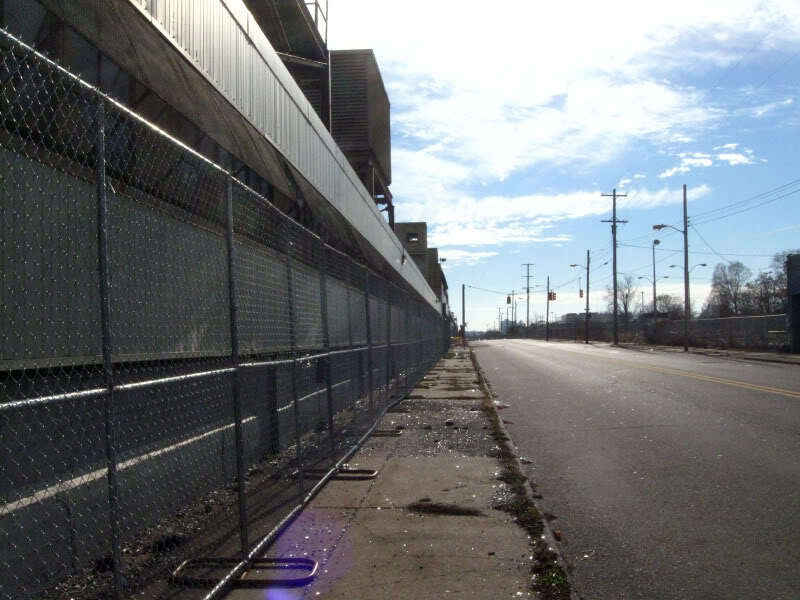 Since the late 1970s GM eliminated over 250,000 jobs...nearly 50,000 in the Flint area alone. The official unemployment rate in the city was 9.7% (more than double the state average), but it would have been much higher if it weren't for the fact that most people moved away from Flint as soon as they lost their jobs with GM. Speaking of the downturn in the city of Flint, it is worth noting that Flint's murder rate and similar crime stats are consistently worse than Detroit's, and pretty much every other city in North America. The fact that as I was walking along next to the plant and found a fired bullet from a .45 pistol and then also a casing from a 9mm pistol just laying on the ground illustrates just how much craziness goes on here. General Motors said it was closing down Buick City to consolidate its large car production because of greater demand for its more profitable light trucks and SUVs. Production of the LeSabre would be transferred to the "more modern" Detroit Poletown and Lake Orion assembly plants. In 1997 when GM announced they were going to pull the plug on Buick City, UAW Local 599 argued that it would be unwise, and pledged that the union would work to increase speedup, impose more forced overtime, and carry out whatever measures were needed to boost production and profits. Obviously none of these pleas changed the company's mind, and the once-mighty Buick City slowly ground to a halt over the course of the next 13 years. Many high-seniority employees were expected to retire or transfer to other plants if there was room, or someone with less seniority there who they could bump. 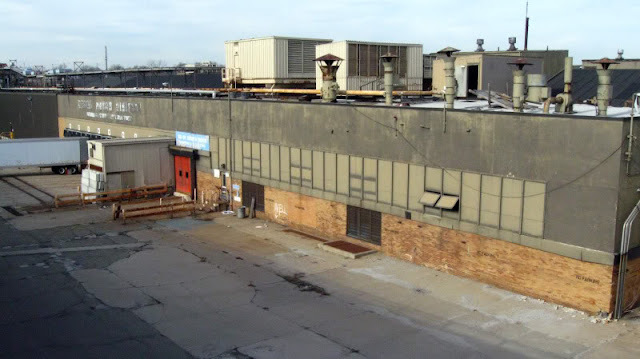 In an article in a Benton Harbor newspaper one employee named Darlene Morris lamented, "Buick City is a building, but it just contains everything I've known for all these years. The last few days have been—well, it's too quiet. Everybody is just kind of closed up. It's very sad." Many were questioning the excuse GM was tendering for killing Buick City, especially after the company had been saying for years that if quality improved they would keep the plant open." Well, quality did improve. 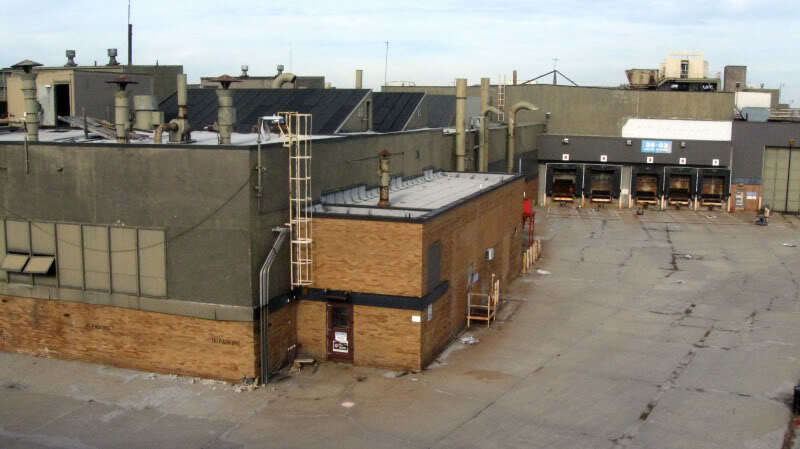 In fact Buick City's quality rating was one of GM's highest—higher than both Detroit-Poletown and Lake Orion Assembly, the two plants that were scheduled to be assuming Buick City's former production. "They've been preaching to us that our job security is to build a good car with high quality, and we're still closing," complained another 11-year veteran of Buick City. Supposedly GM was planning to invest $1.5 billion in Flint factories to create several hundred jobs, but compared to the job losses of the past few years this was a drop in the bucket. UAW leaders said that GM's "plans for two new factories near Lansing" make them "question the company's overcapacity claims." 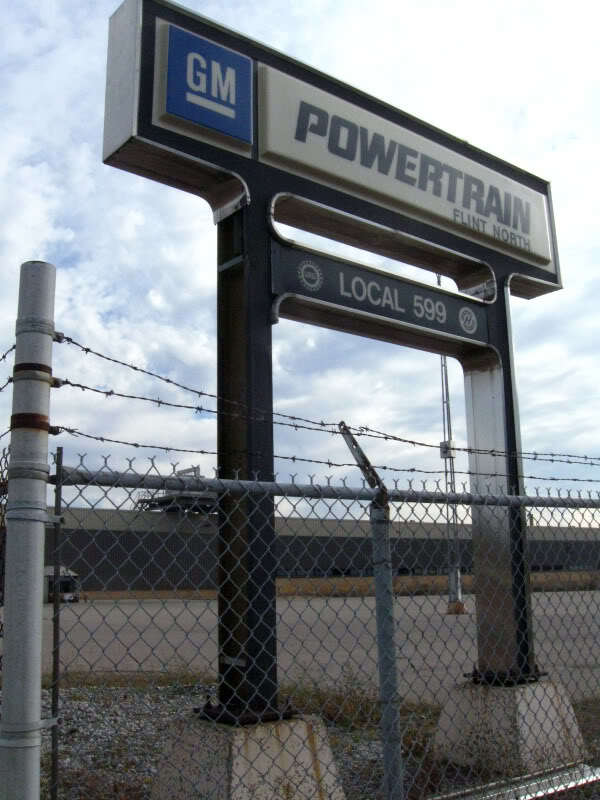 UAW Local 599's president said, "That plant should not be closing...They've got the best team in the company right here…You don't split up the team that wins the championship for you." A book by James M. Rubenstein entitled Making and Selling Cars: Innovation and Change in the U.S. Automotive Industry, backs up these suspicions. Evidence from Harbour & Associates and J.D. 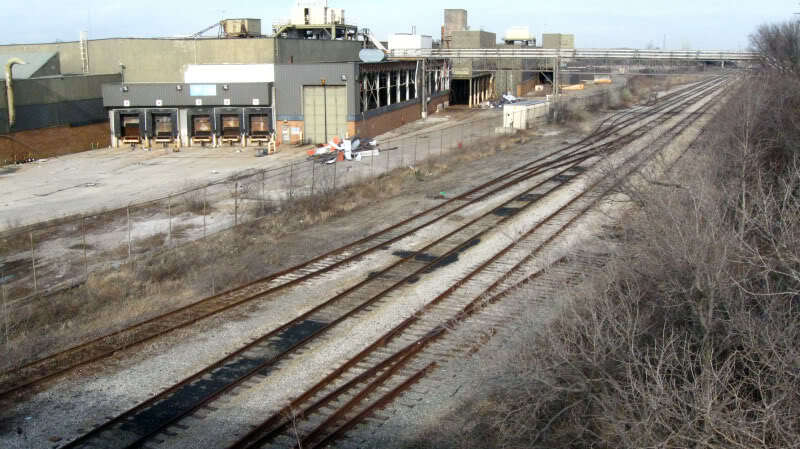 Power did not agree with the official narrative that GM was handing the workers it was laying off, that Buick City was old and outdated, and inefficient. 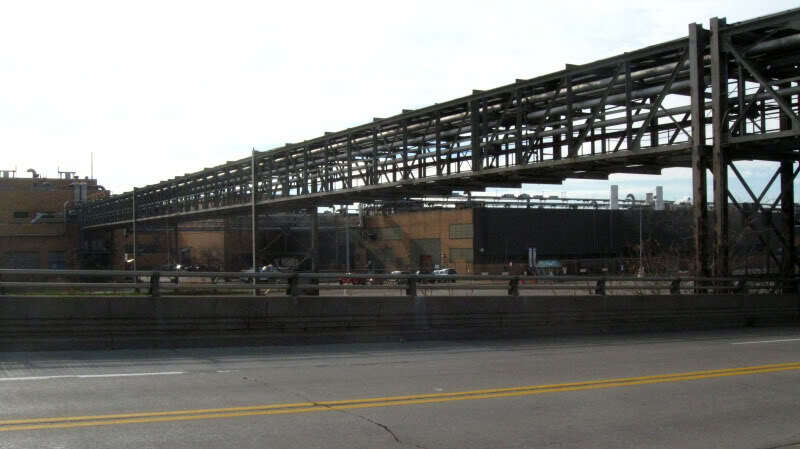 The data showed that Buick City had in fact achieved its production goals, as well as"above-average" quality control. The workers on the assembly line had pulled together since the plant was revamped in the 1980s, and achieved the goals that were asked of them in order to make GM competitive with Japan's "Toyota City." Nonetheless GM was still saying that Buick City was not good enough, and like a slap in the face, workers felt they were being punished for doing well. That's just about the worst thing you can do for morale in your company. In exchange for GM investing the money in Buick City in the 1980s, UAW Local 599 had agreed to concessions in the form of flexible Japanese-style work rules. J.D. 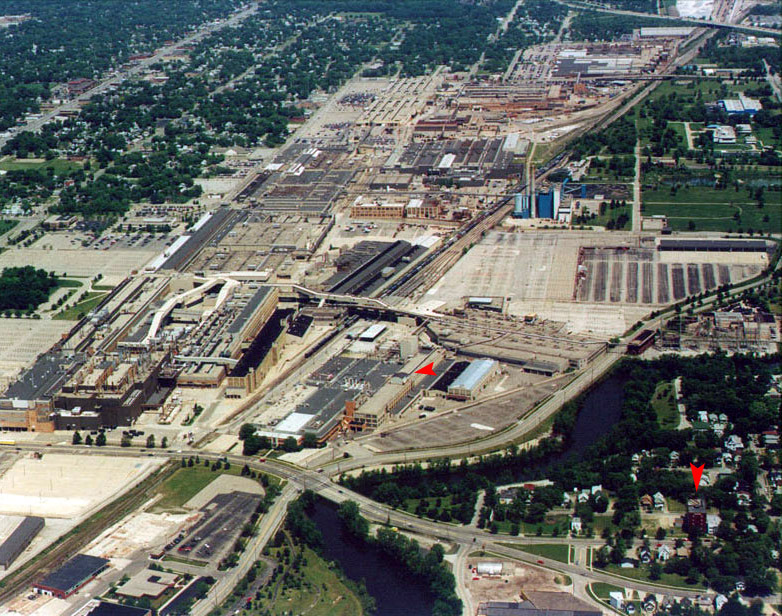 Power rated Buick City the best assembly plant in North America and the second-best in the world in 1989, one point behind Nissan. So I guess you could say that Buick City did in fact beat Toyota City as they set out to do, although GM lost the war. 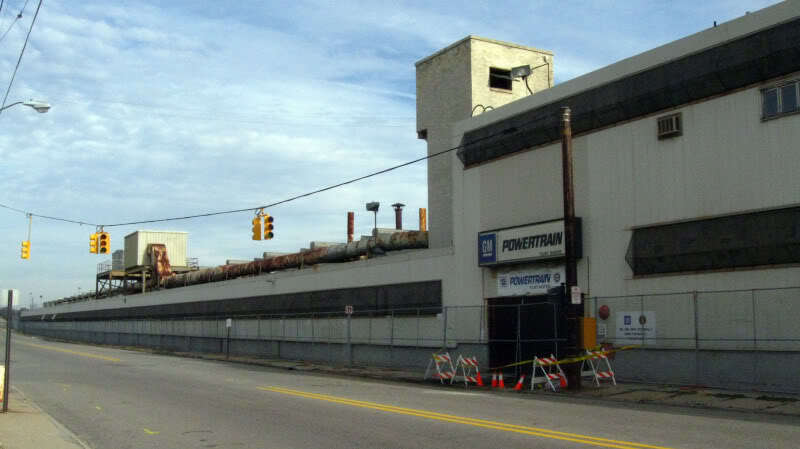 But the real reason, Rubenstein writes, for the decision to close Buick City in 1999 was not about production or quality, it was because GM was at odds with Local 599 (the UAW's largest local, 15,000 strong) over several issues. The union accused GM of not spending all of the money that was promised in the beginning for upgrades to this plant, and the company in turn accused the union of not adopting all of the work rule changes that it said it would. 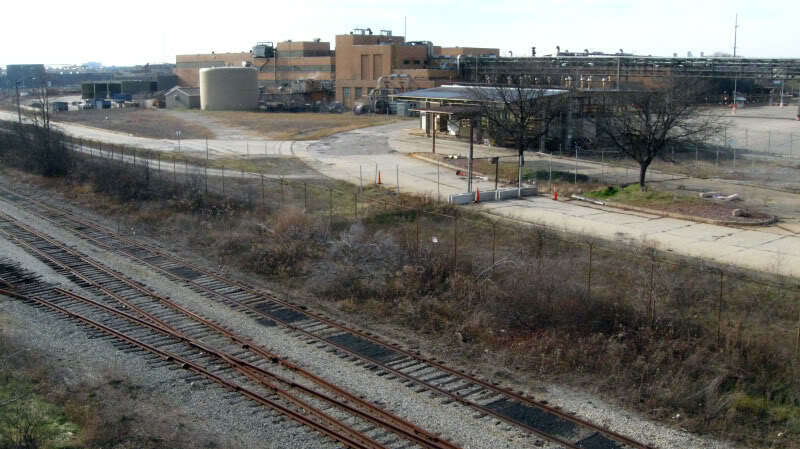 When the union staged a small demonstration (not a strike) to demand the upgrades that were promised to increase the value of their plant, the company decided in 1996 to simply pull up stakes rather than negotiate with the union. 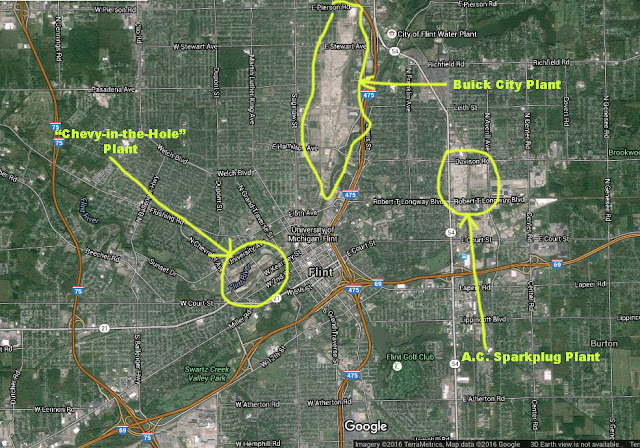 Thus marked the passing of General Motors from its native City of Flint. 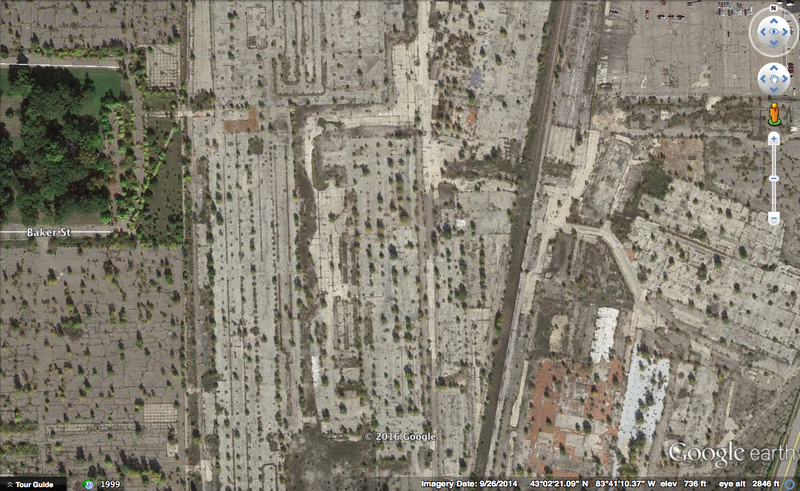 I think that those skeletonized buildings had actually been abandoned for several years already before the plant even closed down. 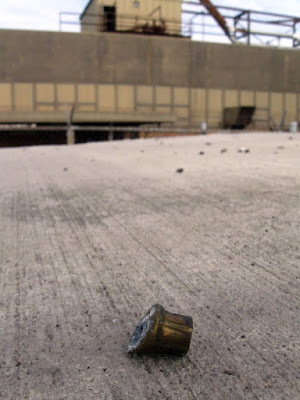 They probably were no longer needed and sat rusting in an unused portion of the complex. This building looks like it was designed by Albert Kahn, Associates. Flint is the only major city I know of that has ever torn down its tallest skyscraper, simply because they didn't need it anymore. 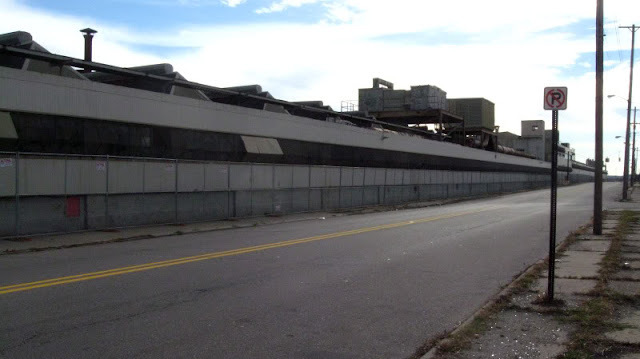 In 2013 the Genesee Towers (seen at left in next photo) was demolished after having sat vacant for 16 years. That would be like if Detroit demolished the RenCen. Poor Flint...every time they think it can't get any worse, it does. The kiss of death in the auto in dirty is a highly efficient plant. One that beats expectations and wins awards. Wixom, Atlanta, Edison NJ and Norfolk all were award winning Ford plants and all are gone. Strong locals also play a role in getting new work. 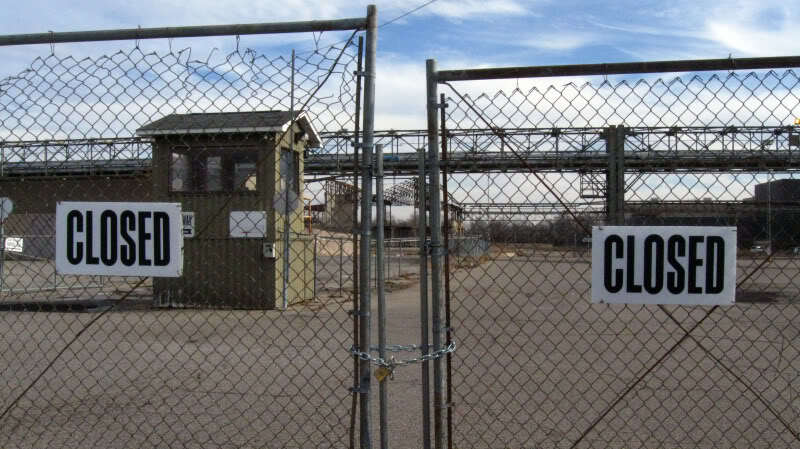 If the company doesn't like being held to the rules they agreed to, they just close the plant. I walked that plant line from the top to the bottom a few years before there was the last model change as they were having issues with new automation. Saw a worker pushing around a cart with leather jackets for sale during lunch time but many were ready to embrace working with robots .